Is is ok if the slot port varies in width down its length? At the moment I don't have access to any hand tools so I had the guys at the store cut pieces of MDF to spec. I'm looking at their cuts and they messed up slightly. The port is supposed to be 1" in width all the way down but they cut some pieces too short and it starts off as 1.5" on the inside of the box. As for the length, 10" of the port is 1" wide and the other 10" is 1.5" wide. Is this going to make a significant difference? (The box is 1.5CF tuned to 30Hz... the length of the port is about 20"). well yes it makes a difference. The area of the port has to be the same. 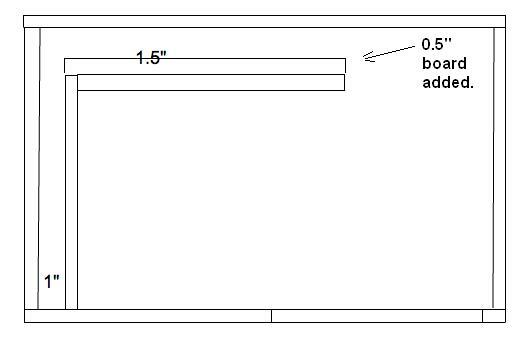 so you have to change the width accordingly to keep the same area as it goes from 1 inch to 1.5 inches. it is also good practice to flare the port exit and also the bends. The air will make noise as it hits the hard corners! where did you ge the design for the box and vent? 1 inch seems small. ^^x2...you can get a piece of 1/2" mdf cut the length and width needed and glue it to the 1.5" wide portion to create a 1" wide port. Last edited by Denonite; 10-04-2011 at 03:02 PM. ^^x2...you can get a piece of 1/2" pdf cut the length and width needed and glue it to the 1.5" wide portion to create a 1" wide port. Right, thanks for the advice. The subwoofer in question is an Alpine SWR-1042D. 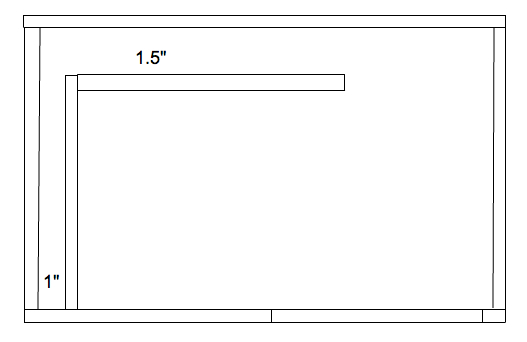 External Dimensions: 12.5" x 14.5" x 17.25"
You think it would be better to go with a wider port? More dB gain? I realize this would throw a lot of things off, such as requiring a longer port to maintain tuning as well as a larger box to maintain net internal volume which also makes the tuning peaky. I normally thought that the rule of 8:1 was the best but this is what Alpine suggests as being optimal. Alpine actually recommended a 11" x 1" vent opening? Slot port vs Round port confusion!!! Quick Reply: Is is ok if the slot port varies in width down its length?